Nanny Guide-Why CPR Traning is Necessary for Nanny Jobs. A child who cannot breathe is only minutes away from death. It is crucial, therefore, that nannies be ready to perform CPR or the Heimlich maneuver without a moment’s hesitation. Before applying for a nanny job, be sure to undergo the proper training and certification for both of these procedures. If you are already certified, get re-certified. The Red Cross recently made important updates to approved CPR methodology. On top of training, it is recommended that you be well versed in explaining how, exactly, you would go about performing a respiratory rescue operation. 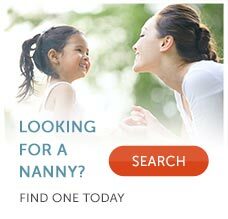 Your ability to show your safety qualifications to hiring parents is crucial to your success in the nanny interview. For parents, safety is not just an afterthought. In fact, it is not uncommon for them to place emergency preparedness at the forefront of their priorities when seeing an in-home childcare provider. During the nanny interview, expect parents to ask pointed follow-up questions about your knowledge of CPR and the Heimlich maneuver. Concerned, responsible families will usually not shy away from rigorously probing your abilities; they are likely to want to see whether or not you can, with perfect confidence, provide a description – even a demonstration – of how you would go about rescuing their child’s life. If unable to provide a convincing answer, the parents may doubt your ability, and thus the safety of their child under your care. On the Internet, it is easy to find plenty of “how to” guides and even online CPR certification programs. we don't recommend these. Instead, get your training and certification in person. Without real-life practice, you could be dangerously unprepared to carry out a real life rescue procedure. Contact your local fire department or the American Red Cross (http://www.redcross.org) to learn about when and where CPR classes are being offered. For your general knowledge and familiarity, here is a brief overview of the two procedures. Note that the following is in no way intended to be a substitute for real training and certification, and is not necessarily the sole response required for a solution. Also referred to as “abdominal thrusts”, the Heimlich maneuver is carried out in order to stop suffocation when food or another object becomes lodged in the throat. Short for cardiopulmonary resuscitation, CPR is a method of first aid in which rescuers intend to revive breath in a person who has stopped breathing. For choking patients, CPR should not be performed until the object has been completely removed from the airways.